DESCRIPTION Welcome to “The Henry”! Hillhurst’s newest, luxury, inner city three storey townhouse development with multiple floor plans to choose from & one of a kind design! Fully finished with oversized, private roof top patios, A/C, roughed in inflow heating in the fully finished basements, walk in pantries, oversized walk-in closets + bold contemporary finishes. Modern, timeless & tasteful! Located in the heart of Hillhurst this location is undeniably ideal for the urban professional who loves the walkability to Kensington & the quick commute by bike or walking into downtown! Functional layouts and large bedrooms with their own walk in closets and ensuites leave little be desired and ample room to grow into! The basements boast an additional bedroom, full bath & a huge entertainment / flex space to make tour own! Cozy main floor fireplace and dual entrances on the main floor are complemented by rich, wide plank hardwood on both the main & second floor. Large ensuites with double sinks & a gorgeous spa shower. The rooftop patio gives you unparalleled privacy with plenty of room for visiting, taking in the fresh air, enjoying a visit with friends and family or unwinding after a long day! There are few neighbourhoods as beautiful, safe and trendy as Hillhurst & the Henry emulates the downtown lifestyle, though elevated, upscale living designed for you! 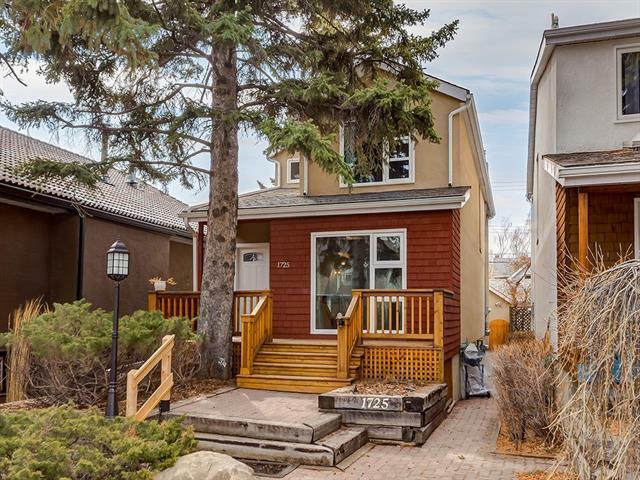 Kaitlyn Gottlieb - CENTURY 21 Bamber Realty Ltd.
Home for sale at 1625 6 AV Nw Calgary, Alberts T2N 0W1. 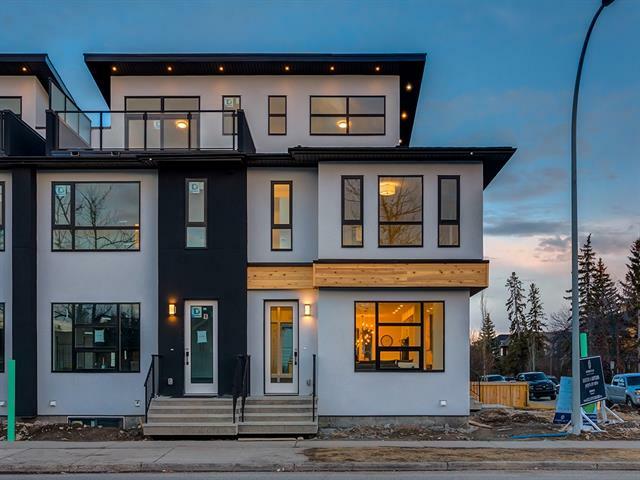 Description: The home at 1625 6 AV Nw Calgary, Alberta T2N 0W1 with the MLS® Number C4239299 is currently listed at $699,000. Our experience of working with Kaitlyn has been very exiting and delightful. It amazed us how she shared the exciting moments of walking into each house with us. As we are first homebuyers she was able to guide us with experience and knowledge through the entire endeavour. Thorough, trustworthy, punctual, kind, experienced and extremely honest (just to name a few) we absolutely could not have ever imagined having such a smooth flowing adventure in buying our first home! Kaitlyn was able to meet and exceed all of our needs and expectations. Including availability as we have tough schedules, days that we were able to meet and hours AM or PM. 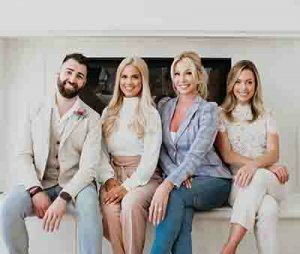 In the end we were able to find the house of our dreams, one that we thought could have been out of our reach, but with all of Kaitlyns hard work and extremely master negotiation skills- she made the house of our dreams a reality. We would recommend Kaitlyn to any home buyers who are looking for a extremely professional, sophisticated and genuine realtor who will never disappoint, only impress!! I am available for contact if anybody has any further questions at all regarding my experience with this fabulous lady. PM on FB. Can't thank you enough Kaitlyn, you truly are the best. Words can not express our appreciation and gratitude. As a first time home buyer Kaitlyn was everything and more as my agent. She lent him her deep knowledge and experience of the Calgary area and showed immaculate patience as I wasn't quite sure what I wanted. As a young, first time buyer, she generously answered all of my questions and anticipated others. It was not only a great buying experience, but also a wonderful learning experience. I left my transaction with Kaitlyn truly feeling that my needs were met and my life was a priority for her. "I recently had the pleasure of working with Kaitlyn Gottlieb to find and purchase my new town home. As someone who was relatively new to home shopping, I found what I thought would be a stressful/overwhelming task to be an entirely enjoyable and exciting experience thanks to the guidance, expertise and patience Kaitlyn provided. Kaitlyn went through each listing thoroughly with me, helping me weigh the pros and cons of each one. We discussed my priority list and Kaitlyn took me to places that exceeded my expectations. Every listing she showed me was tailored perfectly to the priority list we developed. Once I had decided on a place, Kaitlyn walked me through the offer and purchase process step by step so that I fully understood and felt comfortable. I am ecstatic with the townhome I have purchased and I am grateful for the experience Kaitlyn provided with me. I would definitely recommend using Kaitlyn to anyone looking to buy or sell!" Kaitlyn Gottlieb	- CENTURY 21 Bamber Realty Ltd.